Welcome to The Book Corner. In each March and October issue, we will feature books that have recently been published by Oxford University Press in the various AAR/OUP book series. The books featured in this issue were published between January and June 2011. For more books published in the various series, visit www.aarweb.org/Publications/Books. Mahn, Jason. 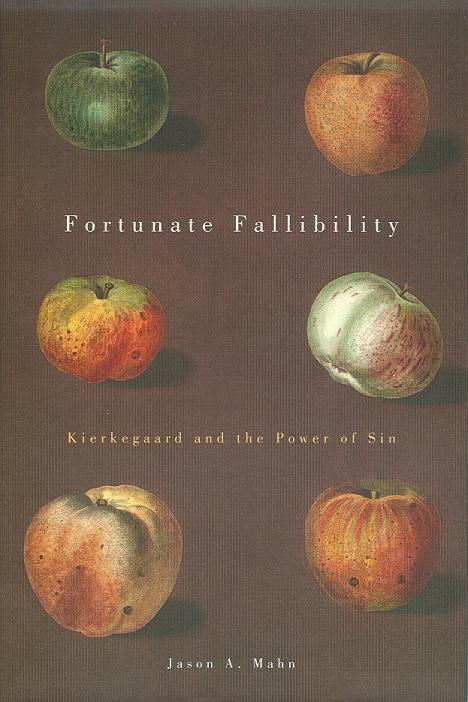 Fortunate Fallibility: Kierkegaard and the Power of Sin. Oxford University Press, 2011. For more than 1,500 years, the claim that Adam’s Fall might be considered “fortunate” has been Christianity’s most controversial and difficult idea. While keepers of the Easter vigil in the fifth century (and later John Milton) praised sin only as a backhanded witness to the ineffability of redemption, modern speculative theodicy came to understand all evil as comprehensible, historically productive, and therefore fortunate, while the romantic poets credited transgression with bolstering individual creativity and spirit. Jason A. Mahn’s compelling study examines Kierkegaard’s “para/orthodoxical” language of human fallibility and Christian sin. Mahn breaks down and reconstructs the concept of the fortunate Fall in Western thought in the context of Kierkegaard’s later writings. Mahn’s insights into Kierkegaard’s playful maneuvers encourage Christian theologians to speak of sin more particularly and peculiarly than in the typical discourses of church and culture. Nemec, John. 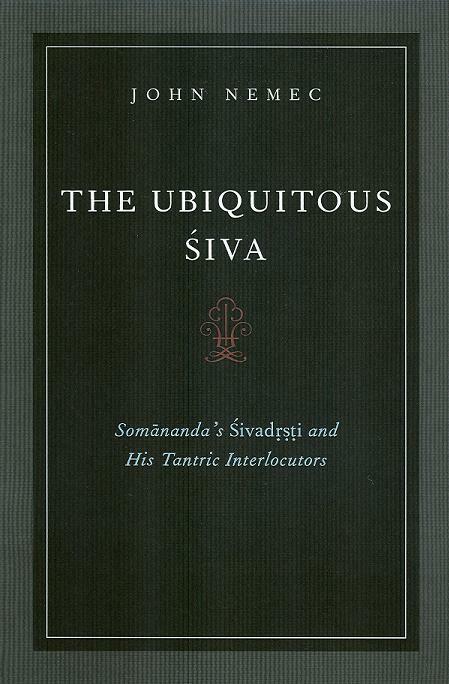 The Ubiquitous Siva: Somananda's Sivadrsti and His Tantric Interlocutors. Oxford University Press, 2011. John Nemec offers a fascinating analysis of the beginnings of the nondual tantric philosophy of the phamed Pratyabhijna or “Recognition” School of Kashmir, the tradition most closely associated with Kashmiri Shaivism. Following his extended introduction he also provides, for the very first time, a critical edition and annotated translation of a large portion of the first Pratyabhijna text ever composed: the Sivadrsti or Somananda. 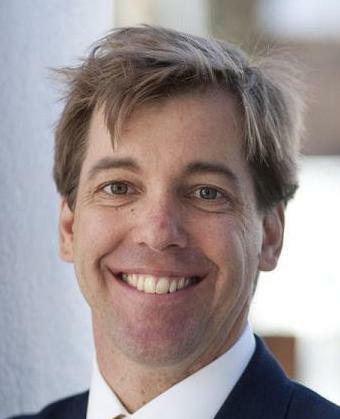 Nemec introduces the text by arguing that the author presents a unique form of nondualism, a strict pantheism that declares all beings and entities found in the universe to be fully identical with the active and willful god Siva. This theological and philosophical view stands in contrast to the panentheism of both his disciple and commentator, Utpaladeva, and the very few other Saiva tantric commentaries that were extant in the author’s day. Nemec also argues that the text was written for the author’s fellow tantric initiates, not for a wider audience. Nicholson, Hugh. 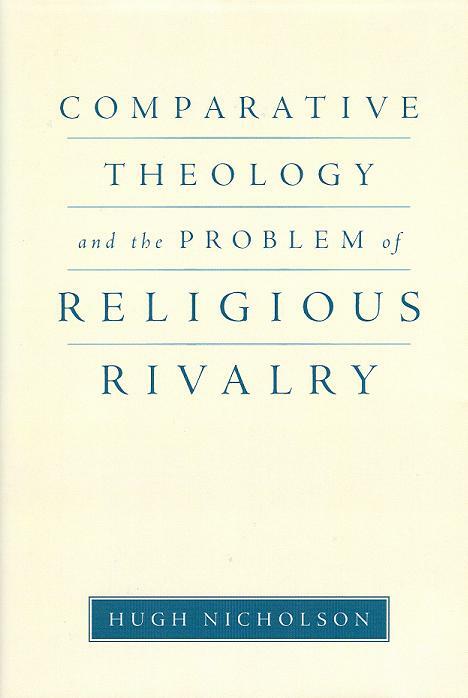 Comparative Theology and the Problem of Religious Rivalry. Oxford University Press, 2011. Hugh Nicholson argues that all theological discourse — even the most sublime, edifying, and “spiritual” — is shot through with polemical elements. 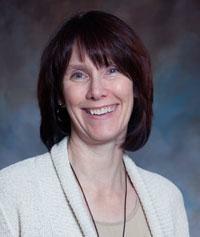 Liberal theologies, from the Christian fulfillment theology of the nineteenth century to the pluralist theology of the twentieth, have assumed that religious writings attain spiritual truth and sublimity despite any polemical elements they might contain. Through his analysis and comparison of the Christian mythical theologian Meister Eckhart and his Hindu counterpart Sankara, Nicholson arrives at a very different conclusion. Polemical elements may in fact constitute the creative source of the expressive power of religious discourses. Wayne Proudfoot has argued that mystical discourses embody a set of rules that repel any determinate understanding of the ineffable object or experience they purport to describe. In Comparative Theology and the Problem of Religious Rivalry, Nicholson suggests that this principle of negation is connected, perhaps through a process of abstraction and sublimation, with the need to distinguish oneself from one’s intra- and/or inter-religious adversaries. Nicholson proposes a new model of comparative theology that recognizes and confronts one of the most urgent cultural and political issues of our time: namely, the “return of the political” in the form of antisecular and fundamentalist movements around the world. This model acknowledges the ineradicable nature of an oppositional dimension of religious discourse, while honoring and even advancing the liberal project of curtailing intolerance and prejudice in the sphere of religion. Rinehart, Robin. 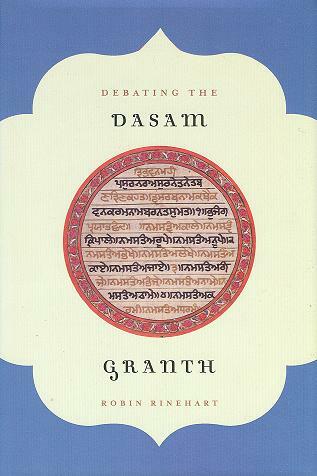 Debating the Dasam Granth. Oxford University Press, 2011. The Dasam Granth is a 1,428-page anthology of diverse compositions attributed to the tenth Guru of Sikhism, Guru Gobind Singh, and a topic of great controversy among Sikhs. The controversy stems from two major issues: a substantial portion of the Dasam Granth relates tales from Hindu mythology, suggesting a disconnect from normative Sikh theology; and a long composition entitled Charitropakhian tells several hundred rather graphic stories about illicit liaisons between men and women. Debating the Dasam Granth is the first English language, book-length critical study of this controversial Sikh text in many years. Based on research on the original text in the Brajbhasa and Punjabi languages, a critical reading of the secondary literature in Punjabi, Hindu, and English, and interviews with scholars and Sikh leaders in India, this book offers a thorough introduction to the Dasam Granth, its history, debates about its authenticity, and an in-depth analysis of its most important compositions.